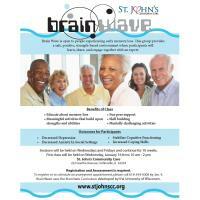 Brain Wave is open to people experiencing early memory loss. This group provides a safe, positive, strength-based environment where participants will learn, share, and engage together with an expert. Sessions will be held on Wednesdays and Fridays and continue for 10 weeks. Registration and Assessement is required. To register or to schedule an assessment appointment, please call 618-344-5008 by Jan. 4.